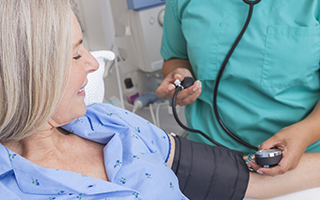 If you have high blood pressure, you might be using CircO2 to bring it down. If so, that's great. But you also need to make sure you're including foods in your diet to make sure your body isn't trying to push your blood pressure up against the CircO2. And one of the best foods you can eat is one you may have never heard of before. The food is Nigella sativa oil. While this isn't a name most people have heard of, the food isn't that exotic. It's actually the oil of black cumin seeds. You're likely familiar with cumin if you've ever eaten any meals with a Tex-Mex influence. Well, a recent study shows just how great this oil is for influencing high blood pressure. In this study out of Brazil, the researchers divided 24 adult male rats into four groups. One group served as the control. The other three groups received a substance called L-NAME — a strange name for a substance that causes high blood pressure in rats. Group two received just the L-NAME. Group three received oral nicardipine daily at a dose of 3 mg/kg. Nicardipine is a popular calcium channel blocker for treating high blood pressure. The fourth group received an oral dose of Nigella sativa oil at a dose of 2.5 mg/kg. The study went on for eight weeks. The two groups of rats treated with the channel calcium blockers and the Nigella sativa didn't experience any increase in systolic blood pressure like the other rats did. Their cardiac lipid perodixation products and plasma nitric oxide dropped as well. So not only did the Nigella sativa have effects strong enough to counteract the L-NAME, it also helped protect the heart by increasing heme oxygenase-1 activity and lowering blood pressure. This is big news, as calcium channel blockers can cause side effects. These include headaches, upset stomach, dizziness or lightheadedness, excessive tiredness, flushing, numbness, fast heartbeat, and muscle cramps. The Nigella sativa oil didn't have any side effects, but was able to positively influence high blood pressure as well as the drug. Black cumin seed isn't exactly the same as what you'll find in the spice bottle at the grocery store. But you can use it in a similar way. I get my whole black cumin seeds at iHerb.com. Recently, I put black cumin seeds in my black pepper grinder – 1/2 black cumin and 1/2 black pepper (a friend of mine uses 1/2 black cumin and 1/2 Himalayan salt). It has a great taste and it's healthy. Not only are these seeds known to lower blood pressure, but additional recent studies have shown it to be remarkable in keeping the skin healthy, strengthening the immune system, reducing inflammation and even having inhibitory effects on MRSA (methicillin resistant Staphylococcus aureus), a bacteria that continues to be a major health problem worldwide. Or if you prefer not to change up your cooking style, you can try black cumin seeds in oil or capsule form. It could help you fight high blood pressure and improve your overall health if you add it to your diet.